A Missouri mother on trial in a landmark cyberbullying case was convicted Wednesday of misdemeanor computer charges instead of felonies in a cruel Internet hoax played on a 13-year-old girl who later committed suicide. The federal jury could not reach a verdict on a conspiracy charge against 49-year-old Lori Drew and rejected three other felony counts of accessing computers without authorization to inflict emotional harm on the girl. Instead, the panel convicted her of three lesser offenses of just accessing computers without authorization. Each of those counts is punishable by up to one year in prison and a $100,000 fine. Drew faced up to 20 years in prison if convicted of the four original counts. U.S. District Court Judge George Wu declared a mistrial on the conspiracy count. There was no quick decision on retrying the count. But prosecutors who argued that Drew's mean-spirited taunts led a teen girl to suicide didn't get the verdict they wanted, CBS News' John Blackstone reports. But legal experts say the government's use of anti-computer hacking laws seemed to stretch the law. "The jury is telling prosecutors 'You went too far,'" said CBS News Legal Analyst Andrew Cohen "Lori Drew may be guilty of doing bad things with a computer, but she certainly isn't guilty of a felony." Still Tina Meier, the mother of the young victim, says the verdict sends a message to other cyberbullies. "My hope is that, if nothing else, that this story gets out to other people and people think about what they do before they get on the Internet and start harassing other people," Meier said. "That has been my hope from the beginning." Drew did not show any visible emotion when the clerk read the verdicts. Her attorney, Dean Steward, said later that Drew was "puzzled" by the verdict and he had to explain the difference between felonies and misdemeanors to his client, who remained free on bond. "I don't have any satisfaction in the jury's decision," Steward said. "I don't think these charges should have ever been brought." Meier said afterward she believes Drew deserves the maximum three years in prison. "It's not about vengeance, it's about justice," she said. Most members of the six-man, six-woman jury left court without speaking to reporters. One juror, who would only identify himself by the first name, Marcilo, indicated jurors were not convinced Drew's actions involved the intent alleged by prosecutors. "Some of the jurors just felt strongly that it wasn't tortuous and everybody needed to stay with their feeling. That was really the balancing point," he said. The case hinged on an unprecedented - and, some legal experts say, highly questionable - application of computer-fraud law. Prosecutors said Drew and two others created a fictitious 16-year-old boy on MySpace and sent flirtatious messages from him to teenage neighbor Megan Meier. The "boy" then dumped Megan, saying, "The world would be a better place without you." 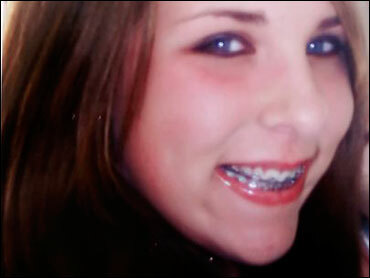 Megan promptly hanged herself with a belt in her bedroom closet in October 2006. Prosecutors said Drew wanted to humiliate Megan for saying mean things about Drew's teenage daughter. They said Drew knew Megan suffered from depression and was emotionally fragile. "Lori Drew decided to humiliate a child," U.S. Attorney Thomas O'Brien, chief federal prosecutor in Los Angeles, had told the jury in his closing argument. "The only way she could harm this pretty little girl was with a computer. She chose to use a computer to hurt a little girl, and for four weeks she enjoyed it." O'Brien said it was the nation's first cyberbullying trial. After the verdict, O'Brien said the jury's decision sent a clear message and he was comfortable with it. "If you have children who are on the Internet and you are not watching what they are doing, you better be," he said. But some legal experts have suggested that O'Brien overreached and that a conviction might not stand up on appeal. Drew was not directly charged with causing Megan's death. Instead, prosecutors indicted her under the federal Computer Fraud and Abuse Act, which in the past has been used in hacking and trademark theft cases. Among other things, Drew was charged with conspiring to violate the fine print in MySpace's terms-of-service agreement, which prohibits the use of phony names and harassment of other MySpace members. "The rules are fairly simple," federal prosecutor Mark Krause said. "You don't lie. You don't pretend to be someone else. You don't use the site to harass others. They harassed Megan Meier." Drew's lawyer, Steward, contended his client had little to do with the content of the messages and was not at home when the final one was sent. Steward also argued that nobody reads the fine print on service agreements. "How can you violate something when you haven't even read it?" Steward asked. "End of case." Prosecutors said Drew, her then-13-year-old daughter Sarah and Drew's 18-year-old business assistant Ashley Grills set up the phony MySpace profile for a boy named "Josh Evans," posting a photo of a bare-chested boy with tousled brown hair. "Josh" then told Megan she was "sexi" and assured her, "i love you so much." Grills allegedly sent the final, insulting message to Megan before she killed herself in the St. Louis suburb of Dardenne Prairie, Mo. The trial's outcome was a victory for prosecutors despite the lack of a felony conviction because they were able to prove the defendant violated the act, said Nick Akerman, a New York attorney who specializes in cases involving the federal computer act. "What you learned is that the Computer Fraud and Abuse Act is an extremely important tool in the federal arsenal against computer crime," he said. Missouri authorities said there was no state law under which Drew could be charged. But federal prosecutors in California claimed jurisdiction because MySpace is based in Beverly Hills. Among the prosecution's witnesses was Megan's mother, Tina, who recounted finding her daughter hanging in a closet. Prosecutors also called some of Drew's friends and associates, who painted the defendant as cold and indifferent about the prank and the suicide. Sarah Drew testified she never saw her mother use the MySpace account. But Grills, testifying under immunity from prosecution, said she saw Drew type at least one message under the name Josh Evans. After the suicide, Missouri passed a law against cyber-harassment. Similar federal legislation has been proposed on Capitol Hill. There was no immediate response to a call from The Associated Press seeking comment from MySpace officials on the verdict. A status conference on the Los Angeles case was set for Dec. 29.